The way we heat our homes is very important, especially in colder climates. Electric heaters are cheaper, easier to install, and do not require the ventilation gas heaters do. Gas heaters and heating have lower operational costs because gas is usually cheaper than electricity, and they also perform better while warming larger spaces. Both heating systems are viable and used all over the world. Radiation heaters - A heating element, contained inside a glass envelope, producing heat as infrared radiations. A reflector directs the heat away from the heater; the radiant heat travels through the air until it reaches an object or body. Radiation heaters, or infrared heaters, are great for spot heating. An example of this type of heater can be found here. Convection heaters – Heating system that warms the air next to it by convection. After the air is heated, the hot air rises up and cold air rushes in to fill the gap. Then the heating process begins again. Convection heaters provide constant hot air flow and are best suited for closed spaces. Two types of convection heaters are ceramic and oil filled heaters. Flued heaters – These heaters are permanent fixtures. This process requires a professional and must be installed at the correct height to extract all the emitted gas. Non-flued heaters – These are vent-free or flueless heaters. This type of heater may be used in a room as long as proper ventilation can be found. A gas heater or furnace needs ventilation in order to eliminate the emissions formed by the burning of gases. Installation normally requires air ducts and vents throughout the house. This type of heater is quite large and will need professional installation. Electric heaters are portable, therefore they do not need installation. Wall-mounted electric heaters will need to be installed but the installation process is much easier than for gas heaters and can usually be done without assistance. Installation of a gas heater is more expensive than electric heaters because they need a centralized furnace with flue outlets to be installed. Comparatively, electric heaters are cheaper. Gas heaters produce more heat when compared to their electric counterparts. As mentioned above, since gas is generally cheaper than electricity, gas heaters usually have lower operating cost. Electric space heaters are most affordable when utilized to heat small spaces at lower temperature settings. Infrared heaters heat objects and should be placed only in areas where ignition will not pose a problem. 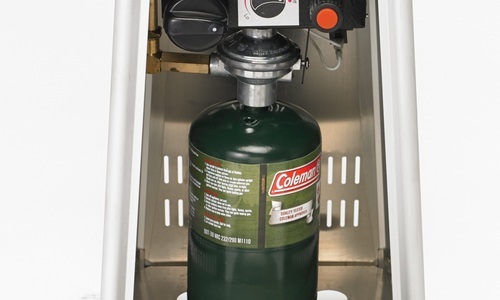 Most gas heaters will need to be installed in a space that has proper ventilation. These heaters must also be turned off before sleeping. Note: Heating removes the moisture from air which can irritate conditions such as dry skin and eczema. A humidifier can be used to improve the humidity level. This is dependent on where you live. In much of the Northeast, gas heating is king. In locations where the cold is less of a factor, electric heating may be preferred as you need to produce less heat. If you're looking to invest in a personal heating system, radiant heaters are recommended. Gas heaters work more slowly but are great for producing heat over a long time and larger areas. Radiant heaters fit the mold for a personal or room heater because they provide a concentrated beam of heat that warms people and objects very quickly. Despite their drawbacks, both convection heating and radiant heating are more effective when used in personal space heaters rather than in large household systems. Convection furnaces and radiant heating panels heat large areas, but at a much higher cost. Space heaters use less energy to heat smaller spaces, which saves you money in the long term. Gas heating is more suitable for larger households because the heating is faster than electric heaters. Electric heating may be the only available option if a chimney or another outlet is not available for venting.